Hats and headwear have become synonymous with a great day out at the races, very often with the gorgeous fillies competing for the much lauded title of Fashion on the Field winner. The prizes get more incredible every year to the point where people do spend thousands on their complete outfit. Shi Shi L’amour works with some of the premier designers in Queensland and can put together an outfit for your race day that will ensure you get all the attention you’re after. Criteria for Fashion on the Field finalists usually include the style and originality of outfits style and appropriateness for the individual, as well as complimenting accessories such as headwear, gloves and shoes. The Brisbane Racing Club consists of Doomben and Eagle Farm racecourses. They play host to many Fashion on the Field events, particularly throughout late Autumn and Winter - May/June. 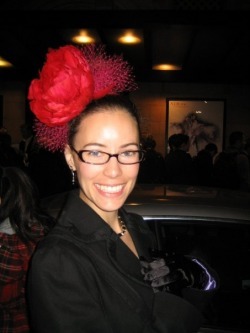 They also have Autumn/Spring/Summer racing carnivals with Fashion on the Field competitions. Offers great tips for fashion on the field entrants and a great list of upcoming Fashion on the Field events. They have a Melbourne Cup competition and a great one in late November. Darwin Turf Club has a Fashion on the Field event in late July. Cairns Amateur Racing Carnival – Early September each year a quite decent Fashion on the Field competition. Cairns Jockey Club in early August has a decent Fashion on the Field competition. Winter racing carnival in July has a Fashion on the Field competition with small but decent prize offerings. Townsville Amateurs Cup has a Fashion on the Field competition in August. The Birdsville Races has the Akubra Fashion on the Field competition in early September. Tasmanian Turf Club holds the very decent Launceston Cup Fashion on the Field competition in mid February. Fashion on the Field competition in early to mid February. Kalgoorlie Racing Club holds a Fashion on the Field competition in mid September with good local prizes. Ipsiwch Cup in mid June has a Fashion on the Field competition plus there are others throughout the year. Late May – Ladies Oaks Day Fashion on the field competition and possibly another competition on Melbourne Cup day. Has Fashion the Field competitions throughout the year. Magic millions carnival hosted by the Gold Coast Turf Club in early to mid January has a rich Fashions on the Field competition for men and women. Wellington Cup – late January – Big prizes with their Fashion on the Field competition. In 2009, a guy won! Mid November – Great Fashion on the Field prizes. Late November – another best dressed competition. Incredibly huge Fashion on the Field competition with 3 events early to mid march (Auckland Cup) and on Boxing Day. 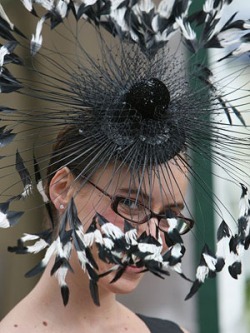 Does not have a Fashion on the Field event but one of the world’s premier race days. 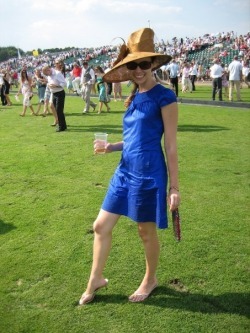 Don’t think this racecourse has a Fashion on the Field competition but another of the UK’s premier horse racing weeks. Grand Natinoal at Aintree – early April – Great Fashion on the Field competition. Fashion on the Field competitions with good prizes. Fashion on the Field competition in late July. Doesn’t appear to have Fashion on the Field events however it is a great place to showcase your outfits and heralds the start of the Victorian Spring Racing Carnival season. Believe both of the above clubs have Fashion on the Field events but they don’t appear to have websites. Late April/early May. Wear pink on ladies day.